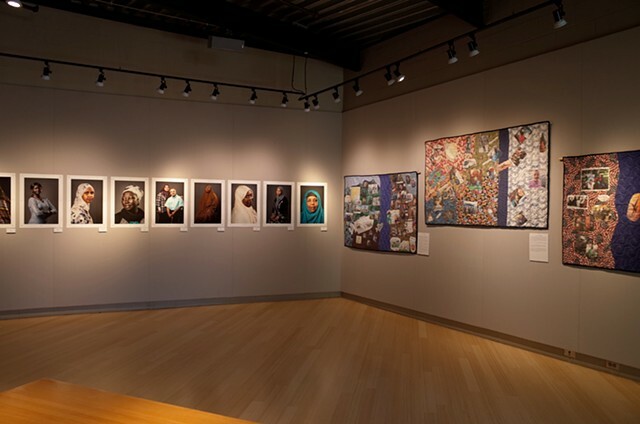 1000 Footsteps Tell the Story” is an exhibit and lecture series that aims to start a conversation about refugees in Kansas City. 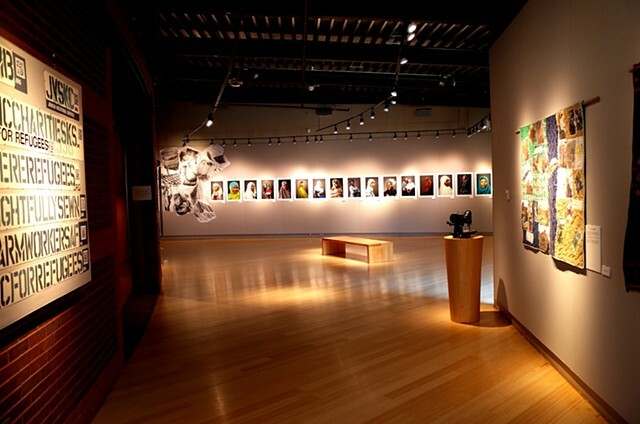 The exhibit opens at Carter Art Center, Penn Valley, Feb 2 - March 8 2018. As of 2016 there were 65.6 million displaced persons in the world, 22.5 million were refugees half of that number are children. From UNHCR, the UN Refugee Agency. 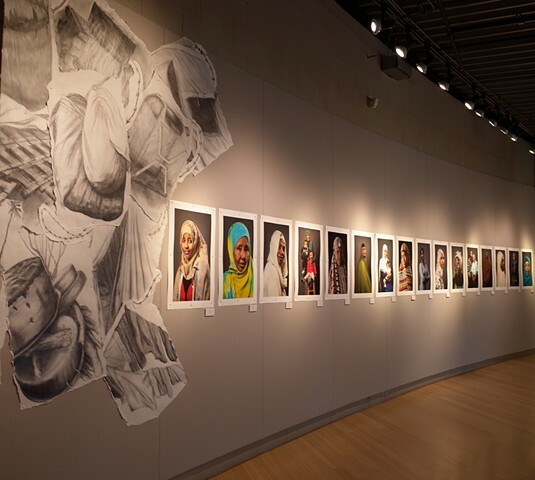 1000 Footsteps Tell The Story” is an exhibition to show the journey story of refugees focusing on those who now call the greater metro area home. 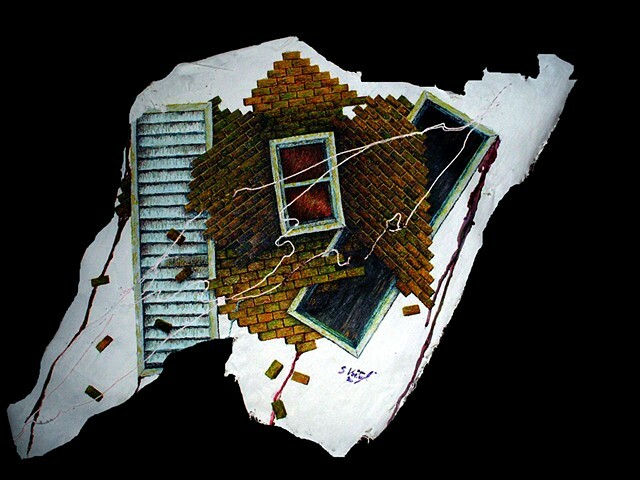 This story reflects the struggles and the joys of these individuals. 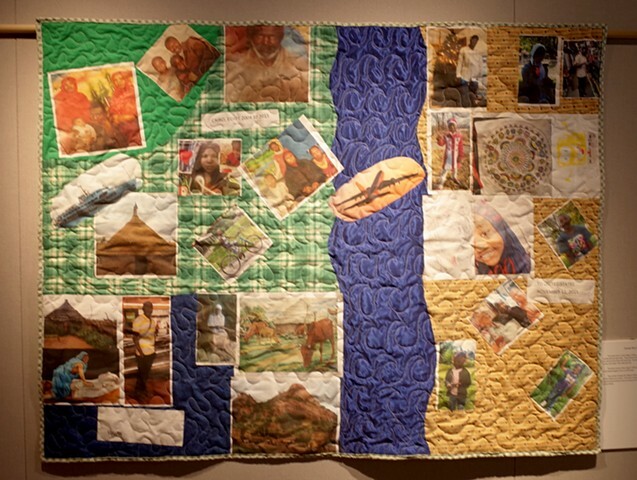 The show will include storytelling quilts and paintings created by refugees, photography and drawings that help give voice to their story. 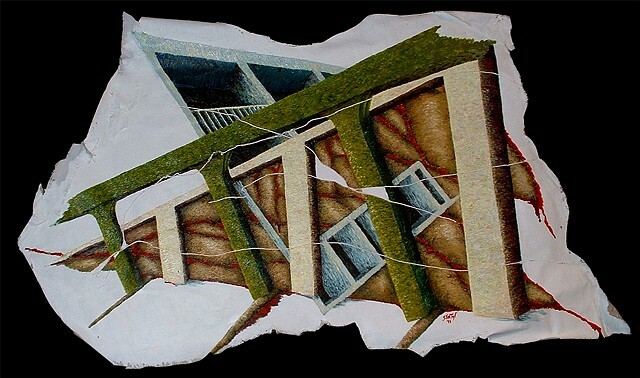 The collaboration of the Carter Art Center, local artists and advocacy groups for refugees make this show possible since many refugees need protection against violence against themselves or family members still living in war torn areas. 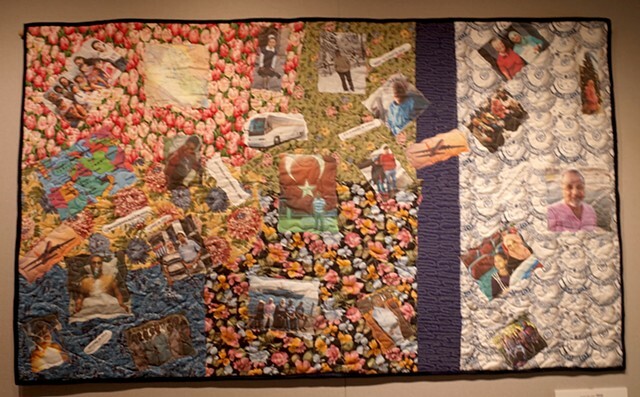 The refugee’s quilts were created as a part of the sewing classes held at Once We Were Refugees , a not-forprofit that teaches vocational skills to both women and men newly arrived in Kansas City. 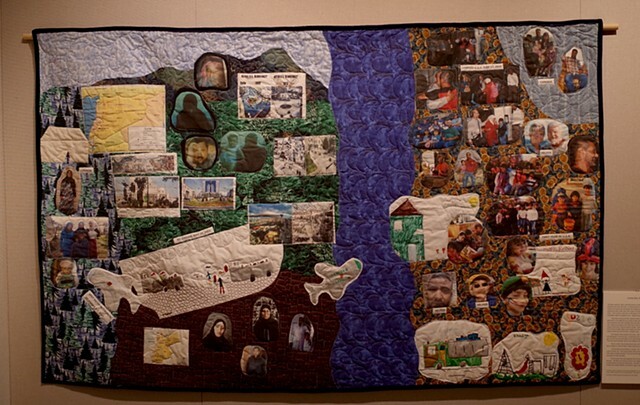 Through fabric, drawings and photographs, these unique quilts tell the story of refugee families flight from their home countries, life in camps and their voyage to safety. 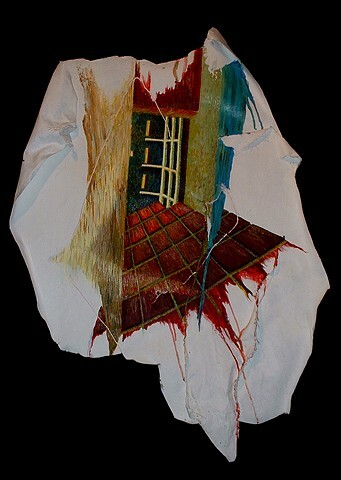 Images and designs stand in for words to document a story before it is forgotten. 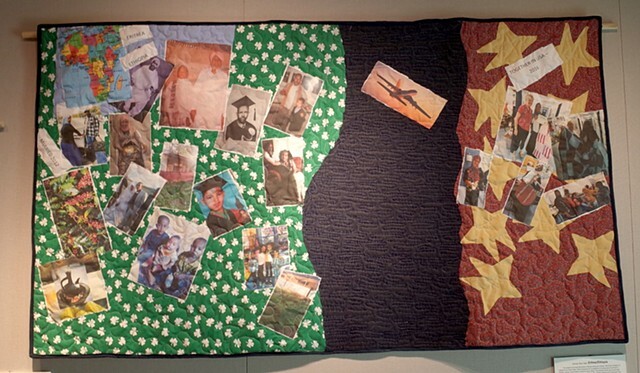 Each quilt provides a physical reminder of the flight from their home country. It is also a way to pass their journey story down to future generations. 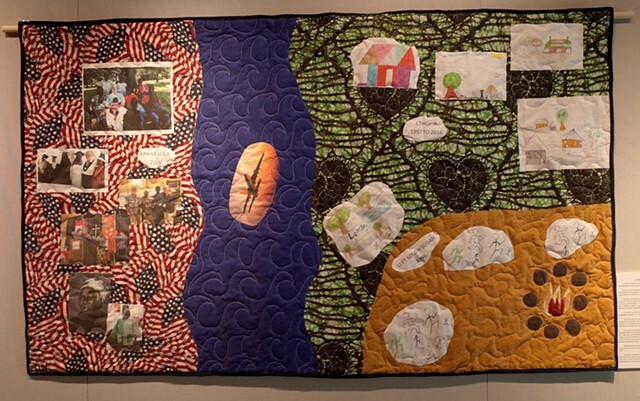 Refugees Tell Stories Through Quilts The refugee’s quilts were created as a part of the sewing classes held at Once We Were Refugees , a not-forprofit that teaches vocational skills to both women and men newly arrived in Kansas City. 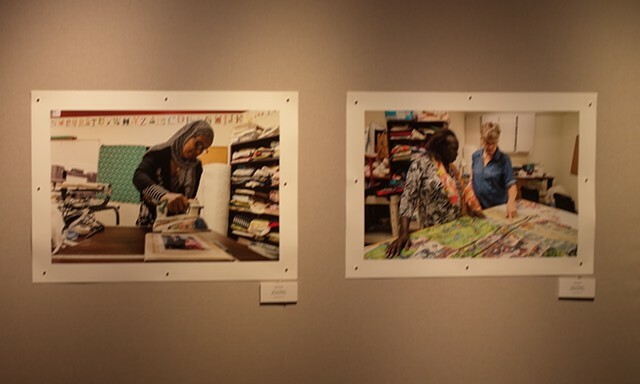 When Abdul Bakar, Director of Refugee Services at the Della Lamb Refugee/Adult Education Center asked volunteer Ann Say if she knew how to teach sewing she said was not at all sure if that was how she wanted to spend her retirement years. 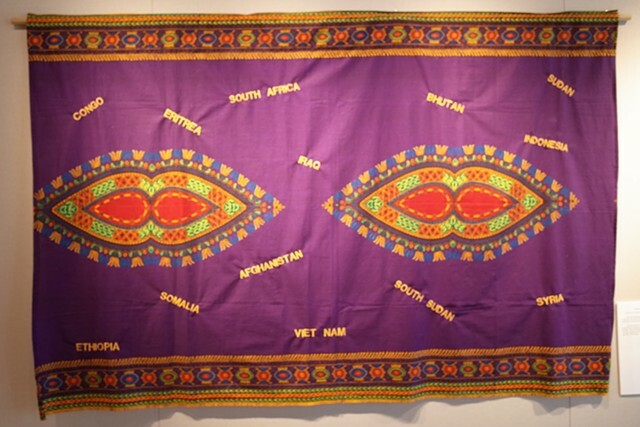 Say now teaches sewing to refugees from war-torn countries like Somalia, South Sudan, Iraq and Syria. She said the work has challenged and energized her in ways she never expected. Say, along with a growing group of volunteers, teaches a nine-week beginning sewing class that touches all the basics-- sewing straight seams, cutting fabrics from patterns, using elastic, hemming and other skills. Many of her students have never used a pair of scissors. 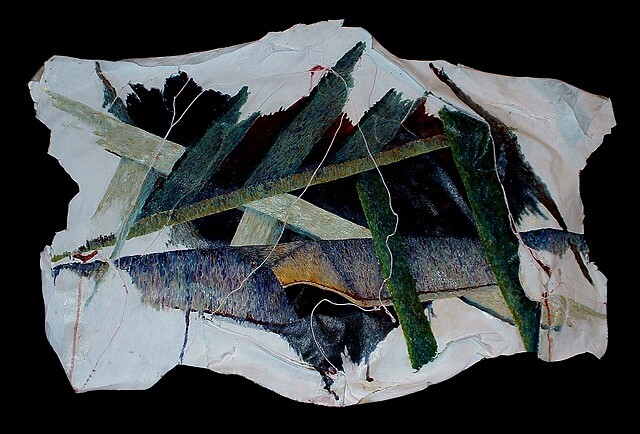 The final project is a narrative quilt. Lecture Series Furthers. 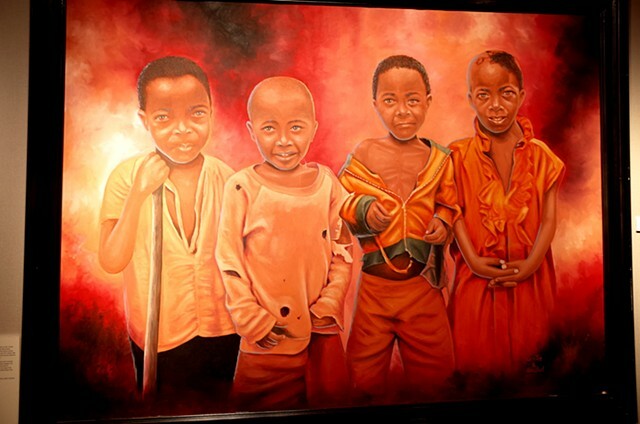 Local artist Sandra Van Tuyl worked to bring the art and agencies together giving public voice to these personal stories. 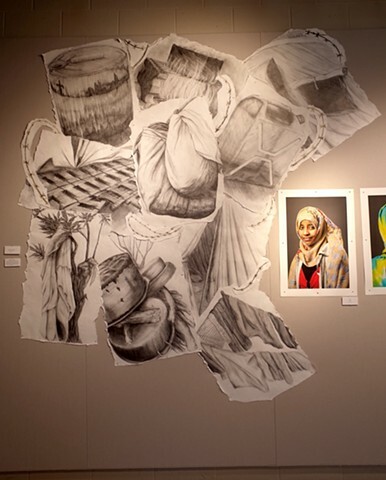 She’s curated an evening lecture series on refugee issues that accompanies this exhibit. Speakers include: Ann Say, of Once We Were Refugees, Abdul Bakar, artist and former director of the refugee resettlement program at Della Lamb Community Services, among others.